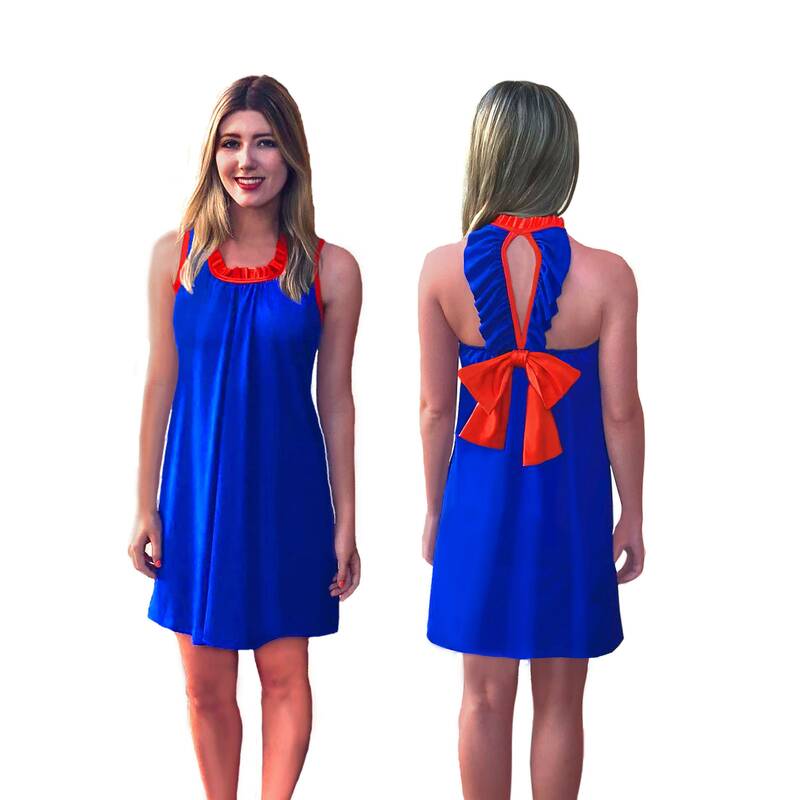 Get your game day girly on with ruffles and bows! 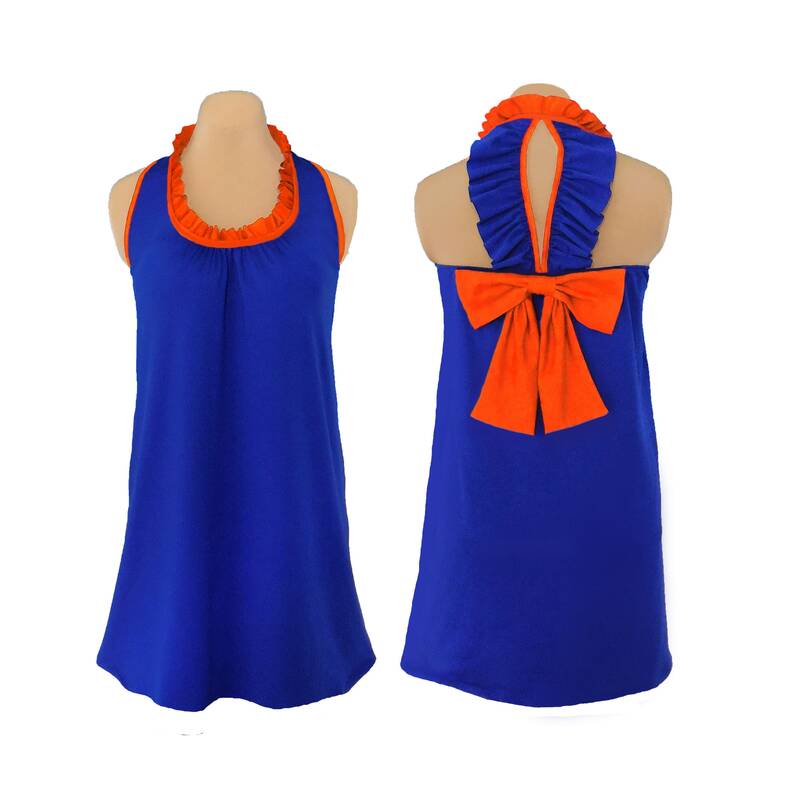 Royal blue dress with dramatic back ruffle cutout and orange bow (detachable and lined with interfacing so it stays in perfect shape). Ruffle trim around neckline. Polyspandex.